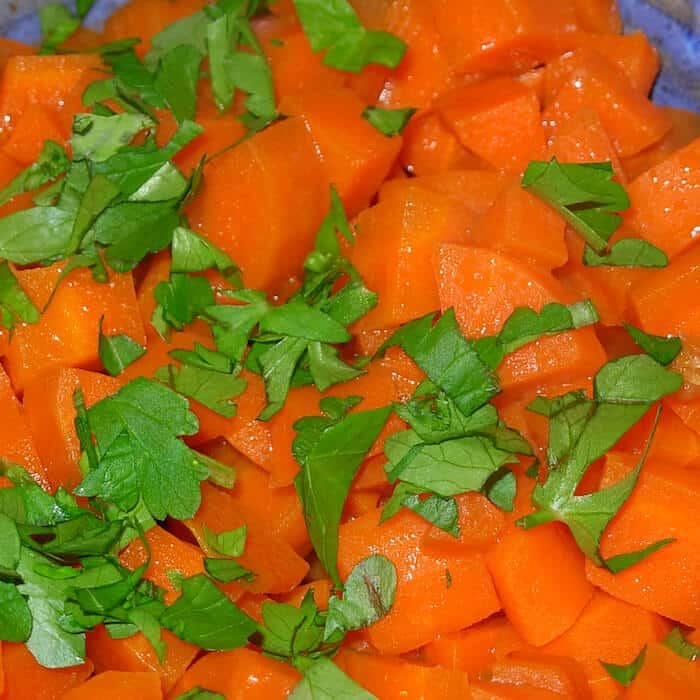 Such a beautiful, simple side dish: Carrots Vermouth. Mary Esposito’s amazing Carrots in Vermouth. OMG! 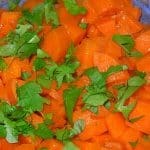 Carrots Vermouth, Spectacular Side Dish! Hi. 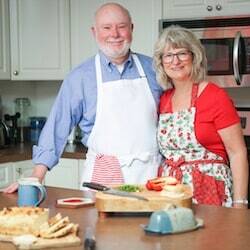 It’s Lois in the kitchen at Recipe Idea Shop, telling you about our fabulous Carrots Vermouth Recipe, which comes from an excellent cookbook, Ciao Italia Family Classics by Mary Ann Esposito. For once, I didn’t make any changes to the recipe. 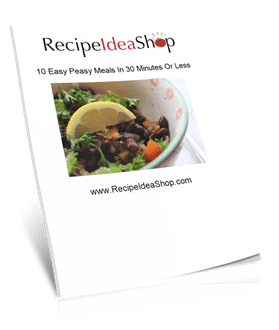 Do yourself a favor and buy this cookbook now; the recipes are absolutely to die for. I swear, Mary Esposito is the Julia Child of Italian Cooking. Every. Single. Recipe. Is. Out. Of. This. World. Ciao Italia Family Classics Cookbook. Buy it on Amazon. Don (Who Doesn’t Like Carrots) Liked The Carrots Vermouth! Don doesn’t generally like cooked carrots (unless they are in either a pot roast or carrot cake), but he did like these. I thought they were stupendous, and I can’t wait to make them again. The flavor bursts in your mouth and you just want to keep eating them. Luckily, they are low in calories and high in good-for-you vitamins and nutrients. Make them yourself and let me know how you like them. 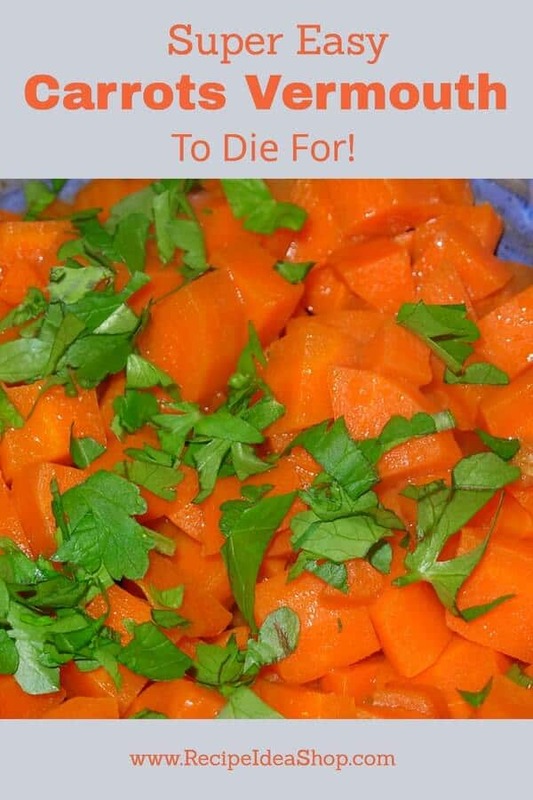 Put the carrots in a pot with the butter, salt and honey. Cover the pot and stew the carrots until crisp tender, about 8-10 minutes. Uncover and cook a few minutes more, stirring often until the carrots are glazed. Transfer to a serving bowl and sprinkle with the parsley. 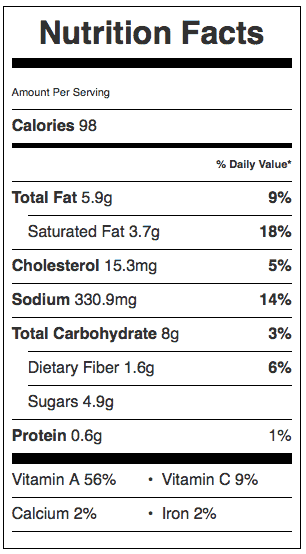 Carrots Vermouth Nutrition Label. Each serving is about 1/2 cup.